Surprisingly often, when I ask people how they want to be disposed of when they die they tell me that they’re donating their body to science. Apart from the fact that they want their body to go to good use once they’re done with it this is also often seen as a way to avoid funeral costs and hassle for the folks left behind. However, I can guarantee that 99.9% of people who say this is their wish haven’t actually done the donating yet. Declaring “I DONATE MY BODY TO SCIENCE!” doesn’t make it so. Yep that’s right, you have to do the paperwork before you die. If you don’t I’m afraid that science ain’t getting nothing. NB: In this article I will just be discussing body donation within the UK. Laws change from place to place so if you have questions about donating your body within a country outside of the UK you can email me at thewindingsheet@outlook.com. Ok, so you’ve made the decision to donate your body to science. What’s next? 1. Find your local medical school. This mystical ‘science’ to which you wish to bequeath your remains is pretty vague. What is science’s phone number? Does science have a facebook page? In order to donate your body you need to leave it to a specific medical school. The HTA put together this great list of schools and contact details to help you. The medical schools usually have a catchment area for body donations to avoid incurring big transportation costs. If you die somewhere away from the place you wish to be donated to, your family will probably have to pay the extra costs to get you there. Ps. If you die abroad you ain’t going to science. You’ll never get to them in time to be useful and the transport costs are too high. See point 4. You need to fill out a consent form that has to be counter signed by a witness. You should have two copies of this form. One should be returned to the medical school and one should be kept with your will or personal papers. Here is an example of a consent form from the London Anatomy Office. It’s really important to tell your nearest and dearests about your plans to donate your body. They may be expecting a traditional burial/cremation and may need time to adjust to the idea of having a ceremony without a body. It’s also important to tell them for another reason (see point 4). It is also useful to tell your GP. – You die in a horrible accident. Your body is no good to science if it’s already been ‘dissected’ by an articulated lorry on the M4 (don’t drink and drive kids). – You’re an organ donor. Science also isn’t interested if you’ve already given all the best bits away to someone else. However, you can register to be both an organ donor AND a body donor. If for some reason you are rejected as an organ donor at the point of death you can be forwarded on to our old pal science to be appraised as a potential body donor instead. – If a post-mortem has been carried out. This is a situation that could arise unexpectedly, for example if foul play is suspected in your death. This also applies if you have recently had surgery from which you haven’t healed yet. – If you have certain infectious diseases. Medical schools get busy around the festive season but they also go on holiday. If you die around any big public holidays you run the risk of having your donation rejected because they will be unable to collect and prepare you. This is just a small sample of some of the reasons your donation may be rejected. For more detailed information it is best to speak directly to the medical school you are donating to as they often have their own criteria. If your donation is rejected by a medical school they may be able to help your family find another school to take you. So have a back up plan! Leave some instructions for your family on what to do with your body in the event of a flat out rejection. Start thinking about burial or cremation now just in case. The Human Tissue Authority are the guys in charge of regulating the donation of bodies and as such have lots of really great information on their website. They’ve also got a handy FAQ section. 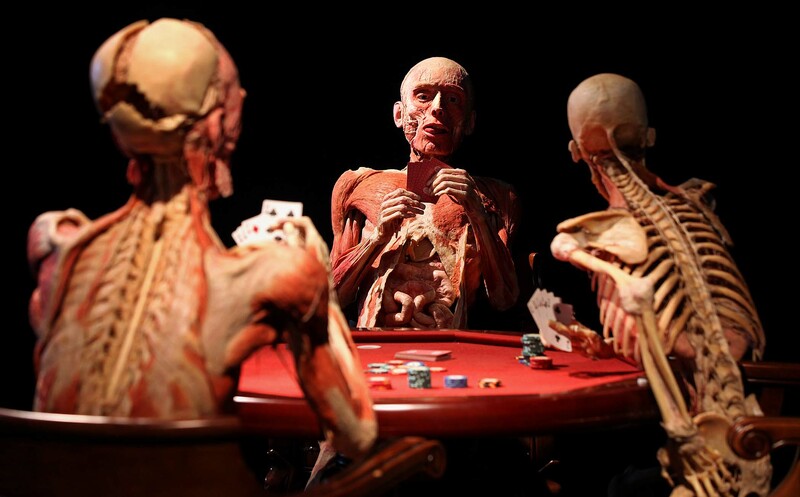 ‘Body Worlds’ – the upcyclers of the body donation biz. – If the body is unrefrigerated it must get to the medical school within 3 days. – If the body is refrigerated it must get to the medical school within 5 days. Again this could change from school to school and depending on what you died of but this is a good general rule of thumb. So, if you want to donate your body to science then why not fill out the form today? Give yourself the peace of mind that your wishes will be carried out properly (donation acceptance pending). Talk to your family about it and don’t forget that back up plan!! Download the HTA’s Body Donation Info Pack for all the information and contact details you’ll need to start the process. 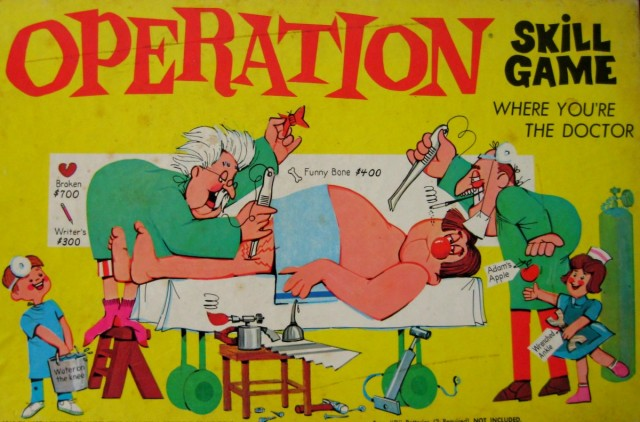 For body donation in Scotland there are slightly different regulations. Find all the info here. ← Death and Dying in the 1900s…..in 3D!!!! And don’t forget a wallet card. Mine includes the ‘phone numbers of the institution, next-of-kin and my GP, the pertinent geographical area, and I’ve added “on the condition that the institute guarantees to pay for transportation & cremation”. They’ve also promised in writing that I won’t end up in a church-yard (which in my country is hard to avoid). Maybe this will become a family tradition? At least, I’ll be number 2. Most of the people at my paternal grandfather’s wake/funeral had no idea they were gathered ’round an empty casket. He was Roman Catholic and it was a bit surprising (to me) that the priest went along, even winked to the immediate family at an appropriate point in the ceremony. Grandpa wanted his brain compared to Einstein’s, he’d said. Perhaps that part wasn’t followed up upon….